Even if isn’t New Year’s Eve, a visit to Times Square is a necessity if you’re going to be in the Big Apple. From there, be sure to visit the Metropolitan Museum of Art, one of the world’s largest art galleries. Schedule ample time for a long stroll through Central Park — and by long, we’re talking about 2.5 miles of attractions. From hot dog stands to street performers to an actual zoo, the park has more than enough to keep you busy and interested for several hours. 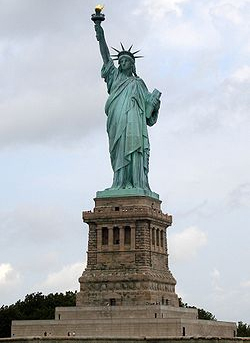 Other notable attractions not to miss in NYC include the Statue of Liberty, the Empire State Building and Grand Central Station. On the other end of the country from NYC, Los Angeles is the only city in the top 5 to be located on the west coast. Home to Hollywood, Los Angeles is well known as a hub for successful and aspiring actors and actresses. 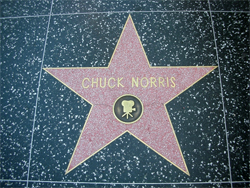 The Hollywood Walk of Fame is a famous 15-block area including more than 2000 commemorative brass stars embedded into the walkway, each bearing the name of a celebrity. From Charlie Chaplin to Mickie Mouse, all the biggest names of the entertainment industry are immortalized in the sidewalk. Other notable L.A. attractions include Venice Beach, Rodeo Drive and the Griffith Observatory. Any true Chicago native will tell you to be sure to visit the city during baseball season so you can spend time in Wrigley Field, home of the Chicago Cubs. Get a view of the entire city from the top of Willis Tower (previously known as the Sears Tower), the tallest building in North America and the 7th tallest building in the world. If you’re into history and architecture, your itinerary needs to include the Chicago Cultural Center — if the building itself isn’t enough to keep you fascinated, the wide range of performance and visual art might catch your eye. Everything’s bigger in Texas, so it’s only natural that the Lone Star State has a city in the top 5. If you didn’t get enough baseball in Chicago, you won’t want to pass up a visit to Minute Maid Park to cheer on the Houston Astros. 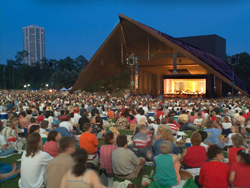 Add some artistic culture to your trip with a show or two at Miller Outdoor Theatre, a 7-acre park with outdoor stages featuring everything from jazz festivals to ballet to Shakespeare. Spend an afternoon inspiring your inner astronaut at the Houston Space Center, or take in a unique attraction with a visit to the National Museum of Funeral History. If you’re looking for a destination rich in U.S. history, then Philly is the place to go. 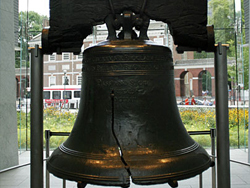 A visit to Independence Hall will leave your inner historian more than satisfied after viewing the Liberty Bell and the location of the signing of both the Declaration of Independence and the U.S. Constitution. If you want something more hands on, spend an afternoon at the Please Touch Museum, where you are encouraged to literally get your hands on the interactive exhibits. One photo opp you definitely can’t afford to miss is the Rocky Balboa Statue, which pays homage to the cinematic boxing icon. Whether you’re traveling by plane, train or RV, the above information should give you ample attractions to fill your itinerary and give you the best taste of each of these major cities. Katie Hawkes the author of “Visiting the 5 Largest U.S. Cities” is a freelance blogger for RV Renovators, a full service mobile shop for RV repairs in Phoenix, AZ. 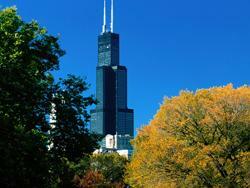 The largest cities are great but there are many smaller cities that have so much to offer. Cities such as Austin, TX, Reno, NV, Boson, MA.